Advertising with Google AdWords is a very effective marketing method to reach your target audience. You pick up targeted traffic to your website through the paid search program of Google. These are visitors who are looking for your products or services and so have a certain desire. We are experienced in generating the right traffic through your website. You can be on top of Google within a day, so do not hesitate to contact us! We are a Google AdWords Certified Partner. This means that we have successfully passed all necessary exams on Google AdWords. 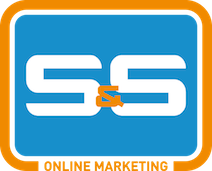 S&S Online Marketing helps you with setting up and maintaining a cost efficient and effective AdWords campaign. Do you already have a Google Adwords campaign? We offer a Free Google AdWords Quick Scan. Find out if you can get more out of your campaigns. Please contact us for advice. Each day there are people looking for your services or products. They use Google to find them. With Google Adwords, your ads stand on top of the search results, even above the free listings. The ads are displayed only when specified keywords or a combinations thereof are typed in. We help you to determine the right keywords to use within the Adwords campaigns. This provides targeted traffic from people searching for your products or services. Our specialists constantly monitor your campaigns. Google AdWords offers a 24-hour insight into the results of your campaign. We will optimize your AdWords campaigns to continuously achieve the best results so you have nothing to worry about. You will receive a weekly and monthly update with clear results of your paid ads. We will also analyse the outcome and the Return of Investment of the Adwords campaigns. We use your marketing budget efficiently and measure the results on a daily basis. We have extensive experience in managing and setting up AdWords campaigns. We always start with a keyword research. Which keywords are relevant to your industry? Which keywords are used by your target audience? Which keywords have little competition but are good for many searches? We work out an effective campaign and bring you our proposal. You clearly understand the costs and once the campaign is active, you benefit from more visitors and sales increase with your website.